Roasting vegetables creates a rich, earthy flavor, transforming summer squash and zucchini into rich and satisfying eats. 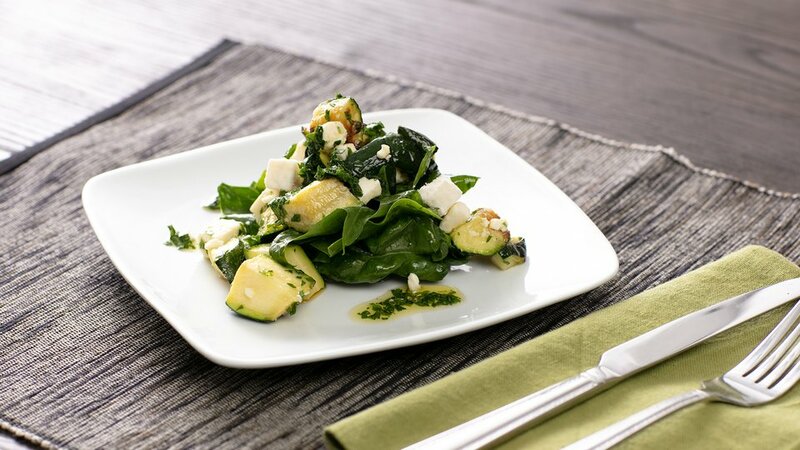 Served over a bed of vitamin-rich spinach and tossed with a homemade herbed vinaigrette, these veggies are naturally low-carb, and perfect paired with grilled chicken or steak. Cut the zucchini into 1/2-inch chunks and toss with a little bit of olive oil. Arrange zucchini chunks on a roasting pan and sprinkle with salt. Roast until lightly brown and tender, about 15-20 minutes. Let cool slightly and toss with the remaining ingredients. Season to taste with sea salt.